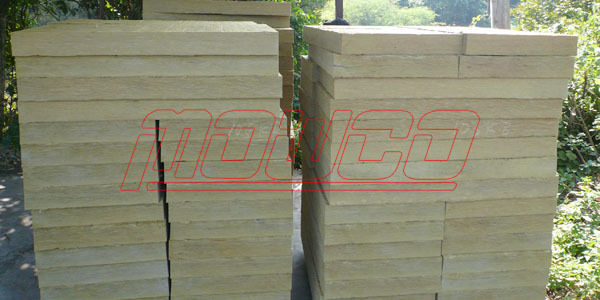 The high strength rockwool board, applies to the exterior of buildings for thermal insulation, like roof, external wall etc.. due to its property of compression resistance, it’s suitable for steel sandwich panel’s fabrication as well, and other industries where both insulation and mechanical strength are required. There are various grades available, 30kpa, 40kpa, 50kpa, 60kpa etc.Properties: comply with ASTM C 612 / JIS A 9504. 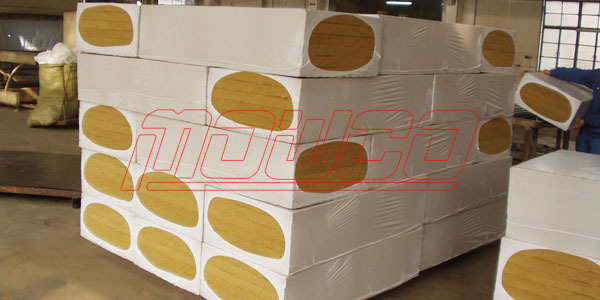 The product is suitable for large vessels, tanks, ovens and ducts for its good load-bearing property. 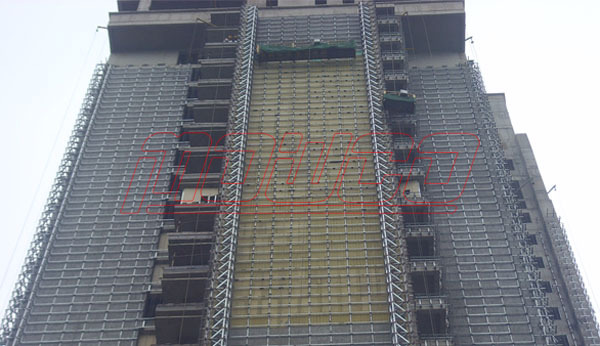 Board with wire mesh, kraft paper or aluminium foil facing is available. They are water repellent and non-hygroscopic. The wool is neutral or slightly alkaline, and normally not support the growth of molds, fungi and bacteria. 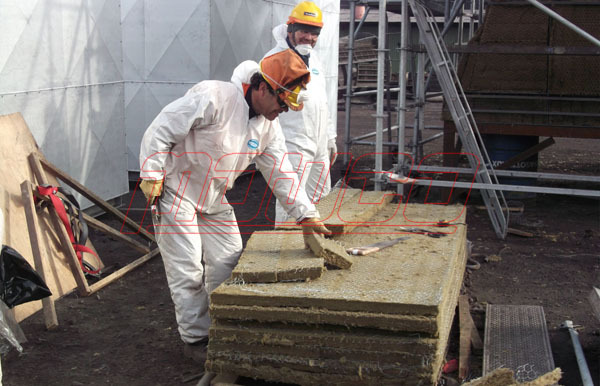 The product is used in building walls/ roofs, elevator wells, flat or slightly curved surfaces and other industrial equipment for thermal and sound insulation. Other size or density on request .